At the beginning of the year, we declared that the cluster ear-piercing trend will be huge. 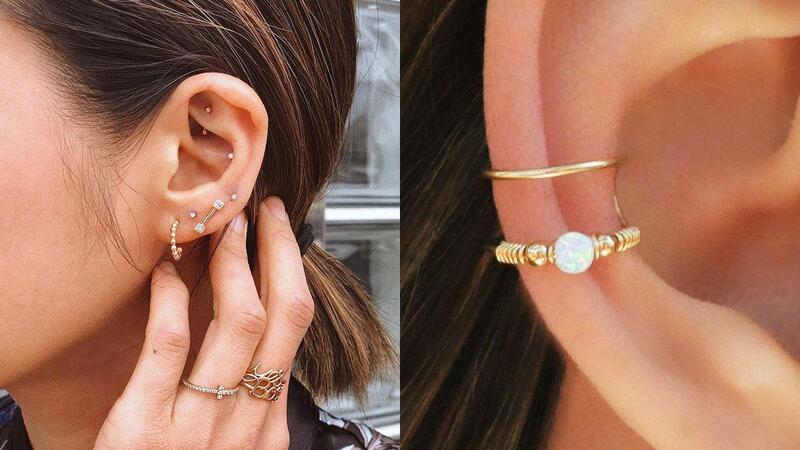 And since we've seen so many posts about it on IG, we decided to collate the daintiest ones perfect for multiple piercing first-timers like you! An extra stud on the helix is great for beginners. This solo stud on the tragus is almost invisible. Try multiple studs for a subtle effect. This combo of earrings with colored stones is very summer-appropriate. The single barbel earring gives an edgy appeal. The tiny quartz crystal acts as the focal point of this arrangement. We love this earring arrangement on the lobe. The dangling earring added a boho touch to the cluster! Keep it simple and just place two earrings on the helix.